Does everyone else go to lunch with their cameras? All I can say is thank goodness for a microwave! I don't ever set out to take pictures of every single thing that I eat but it does happen quite often. I can't stand for food to be waisted. I try to use or eat all our leftovers. I felt sorry for my little grilled artichokes from the other night. I could tell that nobody was going to give them a second chance. What could I possibly make with these little guys? I had already pulled the spinach and bell pepper out. Then, it happened. The eggs and my hand became like two huge magnets, I could not pull them apart. They reached for each other and the idea of an omelet began. I have no problem mixing veggies, even if they don't seem like they should pair nicely together. Today wasn't any different. I had: onion, yellow bell pepper, spinach, grilled artichokes and a tad of cilantro. Little did I know that it would be so delicious when I started. 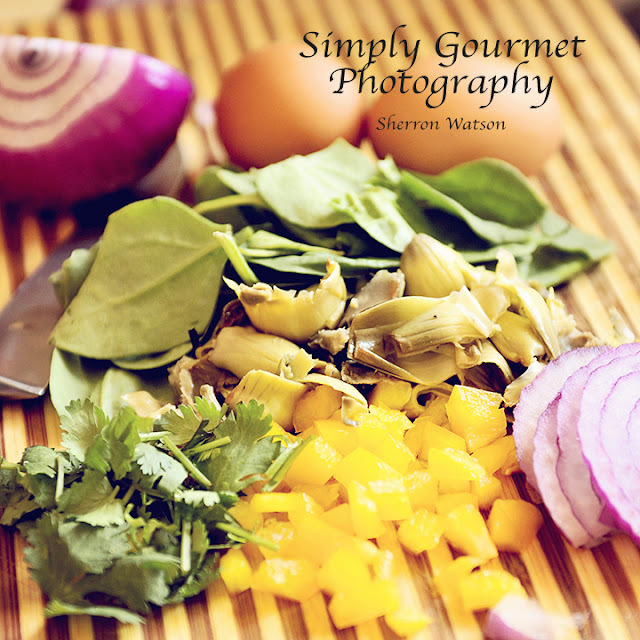 I find that when cooking I just need to let the process inspire me and go with the flow. I am so glad that I did today. Omelets are an awesome dish for breakfast, lunch or dinner. You can literally add anything to it, the options are endless. You can use whole eggs or whites only. You can use straight eggs or add milk/cream to make them soft. You can separate the eggs and beat the whites till still and recombine. 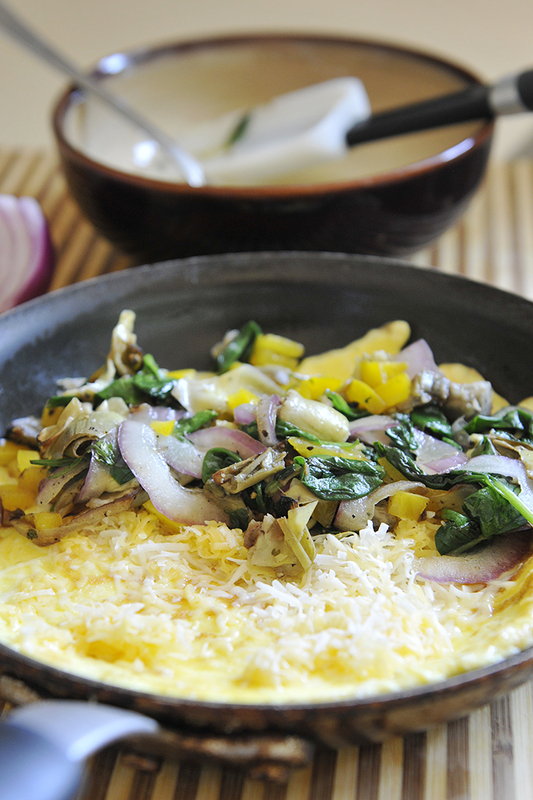 This method makes the best omelets if you like a very fluffy experience. I find that kids and adults like omelets. Having an omelet bar is a great family feast. The kids get to create their own "recipe". I will share with you what I made my omelet out of, but know that you can use what ever your taste buds demand of you. ENJOY! I mixed all of the filling veggies together and sauteed them in 1T. olive oil until al dante (not soggy). I own an egg pan, but use any small frying pan that you have will do. Melt your butter. 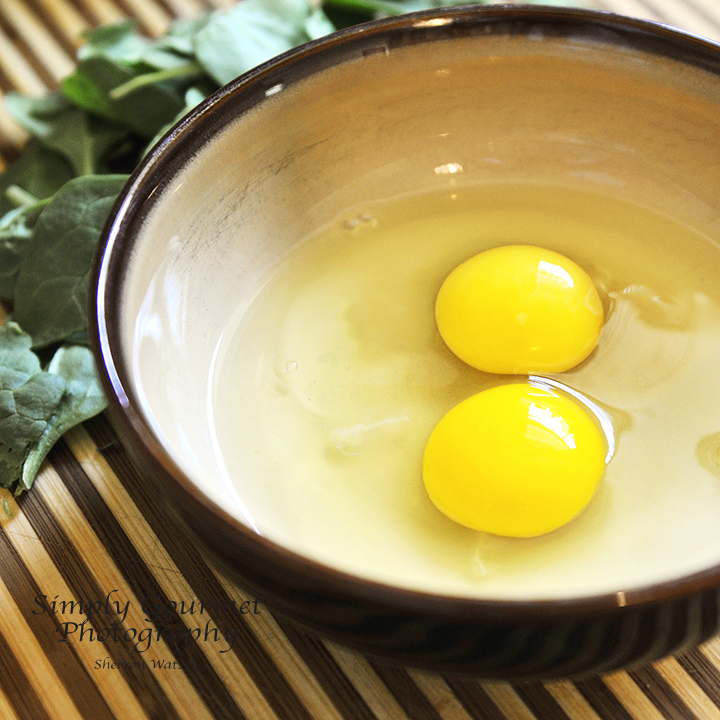 Scramble your 2 eggs in a bowl and add to the hot frying pan. Flip eggs once. 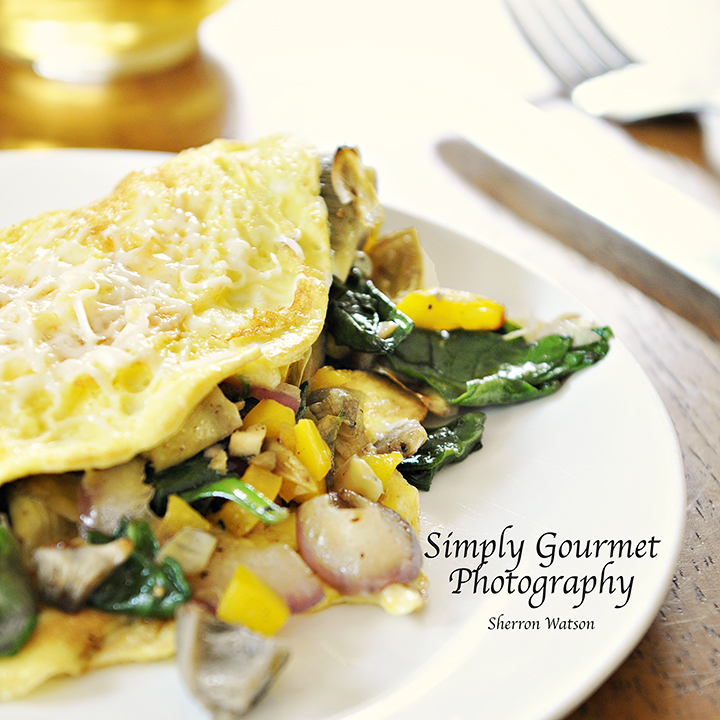 When the omelet is cooked to your liking, add cheese and veggies. Grab a plate and gently slide the omelet onto the place while folding it in half. your imagination and create a master piece. these photos are *GORGEOUS*. I want to eat that omelet right now and I don't even love omelets! Thanks for sharing! Mmmmm this looks delicious! I have recently given up meat and I'm always in the search for new veggie recipes! I love omelettes, never tried it with artichoke hearts before, I definitley will now!! You should try putting some avocado in there ;) I just tried that for the first time earlier this week. Thank you both for your comments! We love eating more vegetarian meals and this one is awesome because you can create so many possibilities. I will definitely have to try adding avocado. Thanks for the suggestion!